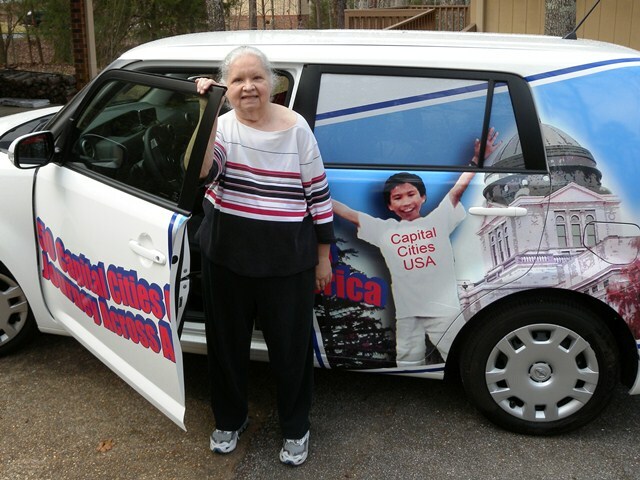 Linda Burton posting from Lafayette, Louisiana traveling from home to Austin, Texas – Sometimes you have to stop planning and start driving. Today was that day. I’d hoped to begin the Journey Across America on January 1; it seemed an auspicious date, an easy target to aim for. I’d do Montgomery first, then Tallahassee, Baton Rouge, and Jackson, arriving in Austin on the first of March. But there was too much to do; buying the Scion and getting it decked out, packing and moving stuff to brother’s house, or giving much of it away. I had to buy a new laptop and phone that will let me work on the road. I had to visit the family in Florida; have that last lunch with cousin Emily; have that last visit to Mom’s and Dad’s graves and say goodbye to step-mom Opal; check in with the doctor and the dentist. 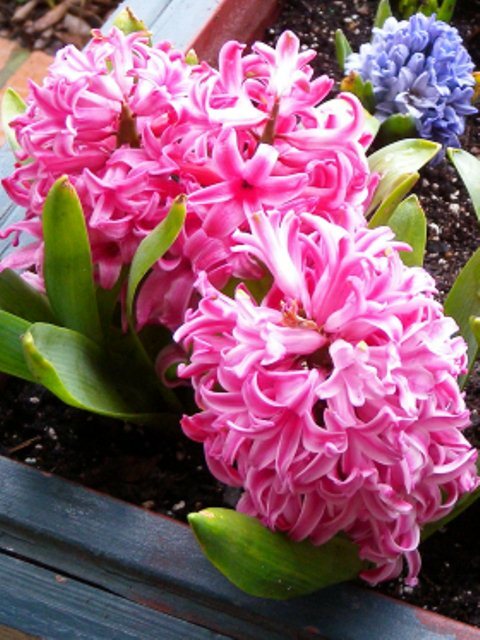 Today I’m tired; I could sleep for a week, but no more delays. This is it. It took hours to load the car, brother helped me haul it out; I had no idea how everything would fit. But somehow it did; the cats were tucked against the back of the seat so they could see me, and I could almost see them. 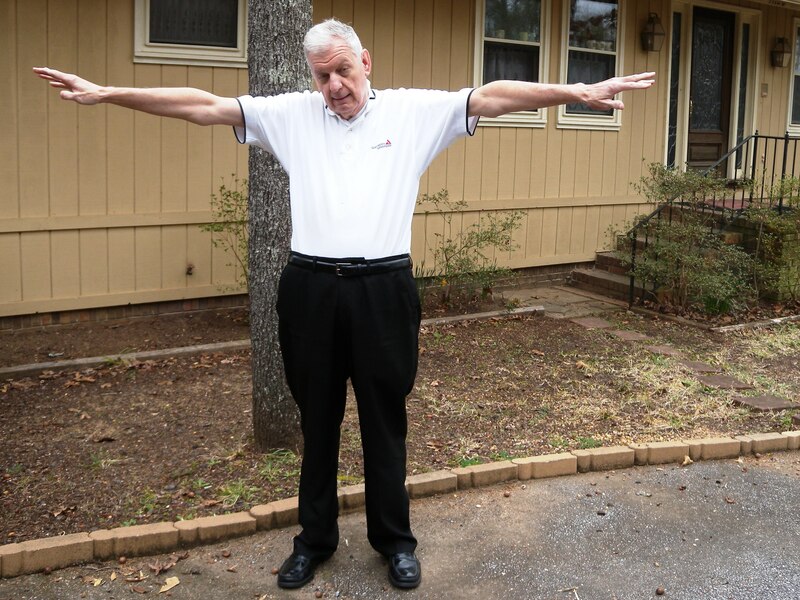 Brother got my picture by the car; I got his by the front door; arms extended, whew! We’re done! Now go! I stopped for gas, diet Coke, and a bear claw, my standard convenience-store shopping. It was 9:04 AM, and I was on the road at last. 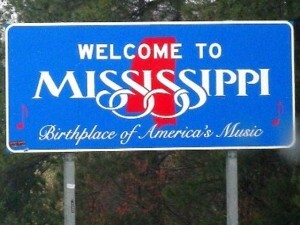 It’s not far from Northport, Alabama to the Mississippi state line; “Mississippi, Birthplace of America’s Music” said the sign. I stopped at the Welcome Center; charming old brick and southern décor, hyacinths in bloom out front. It was a quick pit-stop; rain clouds were moving in. I-59 splits off from I-20 at Meridian; I kept going south; did I need the radio? A country station came in loud and clear; “he can’t even bait a hook,” a message there; “he can’t even skin a buck. He don’t know who Jack Daniels is, he ain’t never drove a truck.” I’m interested in the lyrics now, how will this one end? “Can he melt your heart with a country song every good old boy should know? darlin’ I ain’t even worried, cause you’ll come runnin’ back…he can’t even bait a hook.” That’s Justin Moore, the DJ says, a really good old boy. On through Laurel, in Jones County, folks there resisted the Civil War secession; past Hattiesburg. I needed lunch; saw a sign for McNeill’s Truck Stop at Carriere. I fed the cats and went inside; the sign promised We Serve Real Food Here in the Truckers Kitchen; well I’m a long-haul driver now; I qualify. Grilled cheese and a side of slaw; hearty eaters here; big plates. 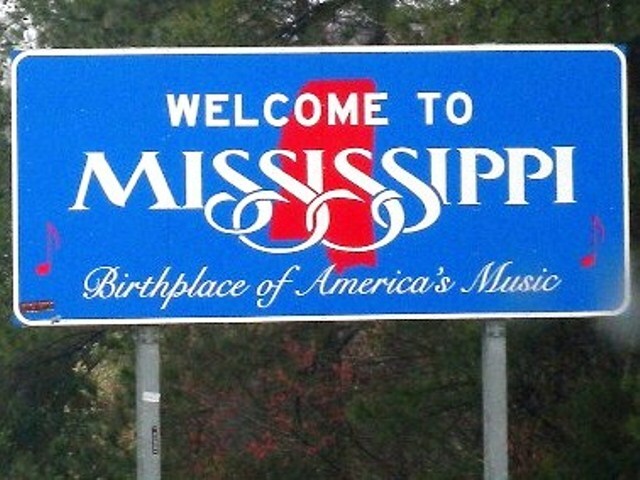 Picayune, Mississippi was the last exit before the Louisiana state line, and then my peaceful wooded drive came to a slamming halt; merge with I-10; head west. 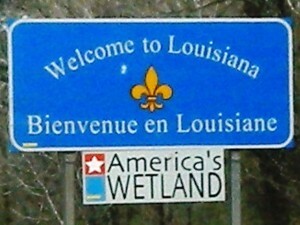 “Welcome to Louisiana, Bienvenue en Louisiane, America’s Wetland” advised of big changes in the landscape, and the way of life; I’m in the land of bayous, crayfish, alligators, oil. On to Baton Rouge, a capital city I have to bypass now; “I’ll be back in December!” I called out, not even slowing down. 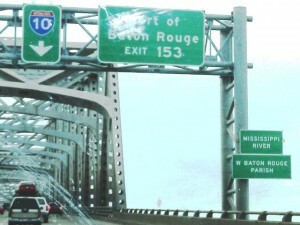 The bridge ahead rose high above the delta lands; I crossed the Mississippi River; Port Allen straight ahead. 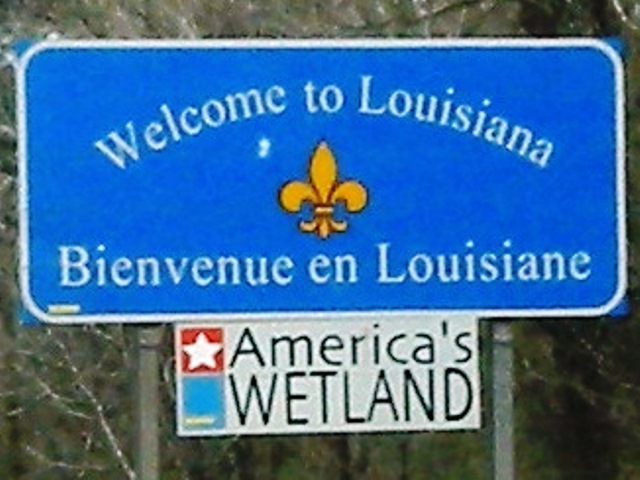 Water everywhere, Atchafalaya National Wildlife Refuge to my right; Iberville Parish, no counties here, but parishes; the names are French; Breaux Bridge, and then Lafayette; a room was waiting in my name. The cats resisted; scoot in that carrier and we’ll get some food! I promised. Day One was on the record books; I’m tired, but pleased that I am on the road. At last.